Home Chronic Pain Can Trigger Point Injections Break the Cycle of Pain? Can Trigger Point Injections Break the Cycle of Pain? Fibromyalgia is a devastating chronic illness that causes widespread – and often unexplainable – pain and tenderness all over the body. According to the Centers for Disease Control, the condition affects more than 4 million Americans – or about 2% of the adult population. The landscape of medical acceptance and advancements continues to expand and evolve, devising treatment options such as trigger point injections for fibromyalgia sufferers. Let’s take a look at what this pain management tactic works and what it can offer. Think of trigger points as the knotted muscles that are the source of your pain. If you’ve ever had a deep tissue massage, you may remember thinking your body felt pretty relaxed until your massage therapist hit a trigger point. Suddenly you became aware that pain was radiating from that spot. A skilled massage therapist can physically manipulate those knots to give you relief, even if the pain causes you to squirm a bit. But there are medical conditions that cause those deep knots to be too painful and too sensitive to manipulate physically. That’s why trigger point injections of fibromyalgia sufferers can be an effective management tactic. When you’re living in chronic pain, the notion of injections may not sound appealing, but trigger point injections are not as painful as they may sound. Here’s how they work: your healthcare provider inserts a small needle filled with a local anesthetic and possibly a corticosteroid into your trigger point. The injection only takes a few minutes. If you have multiple trigger points, they can administer injections to several sites in one visit. For most patients, they feel relief immediately due to the numbing agent. 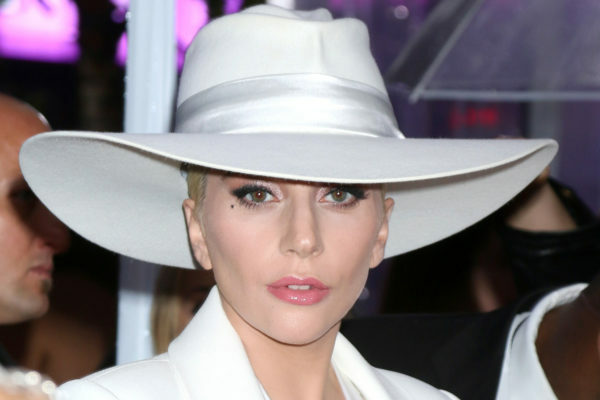 International superstar Lady Gaga, has been outspoken about her battle with fibromyalgia. It impacts her life to the extent that she had to postpone her European tour last year due to her pain flare ups. In her Netflix documentary Gaga: Five Foot Two, viewers see her receiving trigger point injections as well as massages and physical manipulation similar to Active Release Therapy to ease her symptoms. 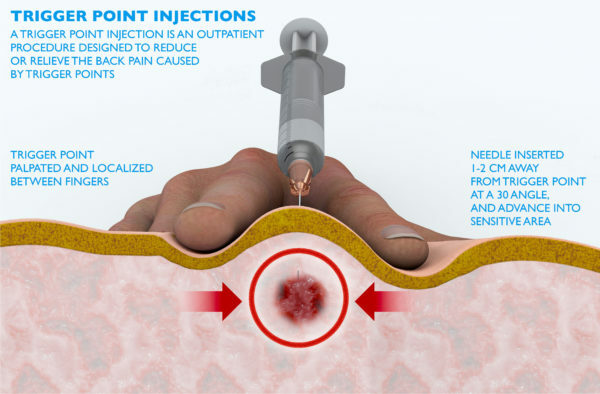 Showcasing trigger point injections for fibromyalgia sufferers suggests that it is becoming a more widely used technique for giving fibromyalgia sufferers relief. 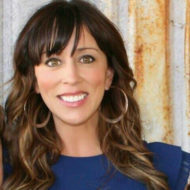 And considering her social media following (including almost 30 million followers on Instagram alone), it’s clear that she is putting her far-reaching voice to work by raising awareness around the globe and providing comfort to millions of fibromyalgia sufferers. It’s hard for people to fully grasp what it’s like to live with this chronic pain syndrome unless you’ve been diagnosed. There are a number of symptoms that are often misunderstood and misdiagnosed. According to the Mayo Clinic, researchers “believe that fibromyalgia amplifies painful sensations by affecting the way your brain processes pain signals.” This is particularly important in understanding the power of trigger point injections. For some fibromyalgia patients, receiving trigger point injections can be life-changing. According to Christine Lynch, a fibromyalgia sufferer and long-time advocate for awareness of the condition, trigger point injections gave her much-needed pain relief, but it took several days to feel the results.